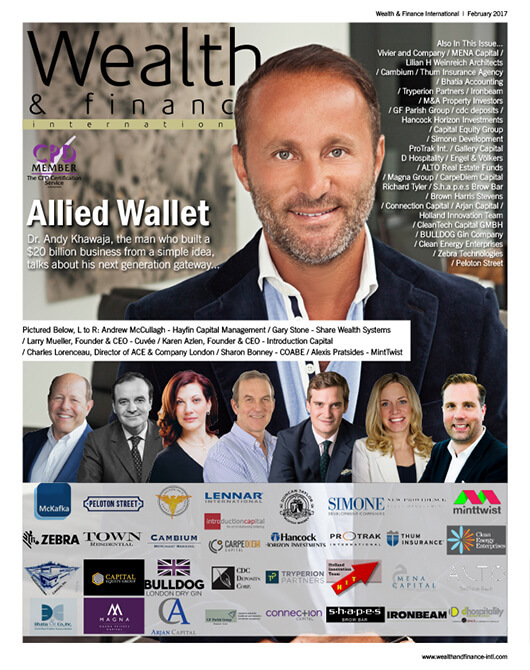 Welcome to the eighth issue of Wealth & Finance International Magazine, which is dedicated to providing fund managers, institutional and private investors from around the globe with the very latest industry news in the traditional and alternative investment landscapes. 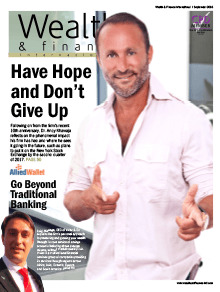 Gracing the cover of this month’s issue is Azizi Bank. 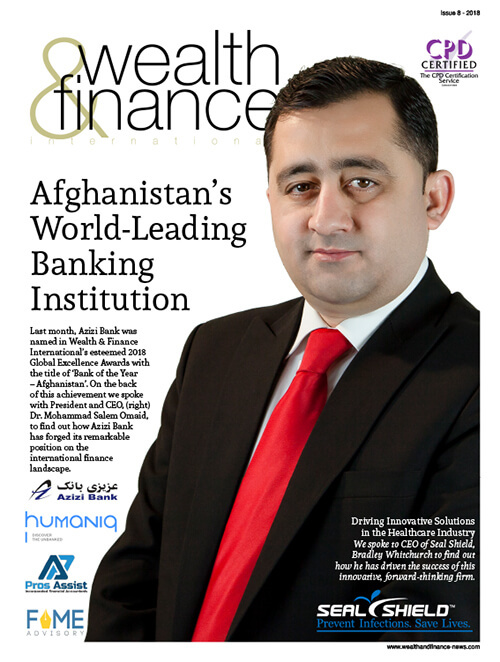 As the largest commercial bank in Afghanistan, they have made a substantial push over the last year to incorporate more mobile banking options for their clients. As a result of these efforts, and their consistent dedication to being at the forefront of the country’s banking industry, Wealth & Finance International named Azizi Bank Afghanistan’s “Bank of the Year for 2018”. We spoke to Azizi’s President and CEO, Dr. Mohammad Salem Omaid, to find out how he has forged their peerless reputation in the finance sector. 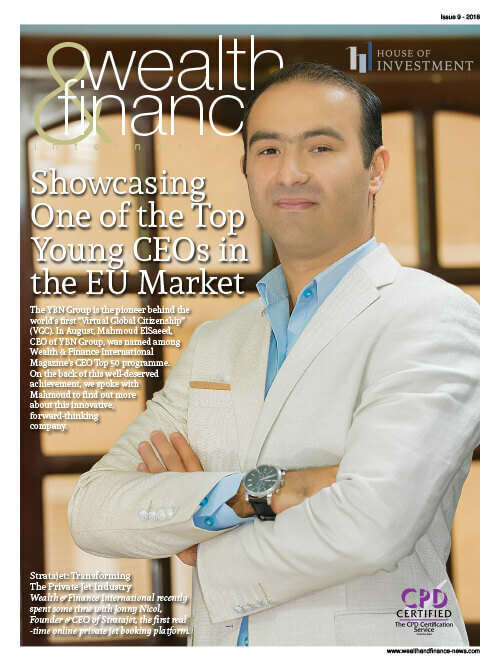 Also in this issue, we spoke to Javed Khattak who, in his role as CFO of Humaniq, is helping to bring about the next generation of financial services. As an expert in Blockchain technologies he hopes to bring Fintech to areas of the globe that have no access to regular banking services. We endeavoured to find out more. 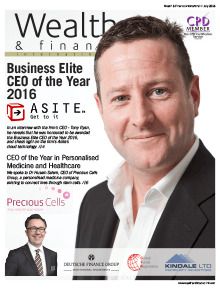 In a nice change of pace, Wealth & Finance spoke to Bradley Whitchurch, the CEO of Seal Shield, to find out how he drives innovation in the infection prevention industry. Utilising strategic partnerships and technology acquisitions, Seal Shield has become synonymous with excellence in the healthcare sector. Finally, on the back of their success in the Finest in Finance Awards, we took a close look at D&D Leasing UK, a multinational leasing and financing provider. The firm’s Founder, Rev. Dr. K. Bill Dost, revealed some of the secrets behind their success. 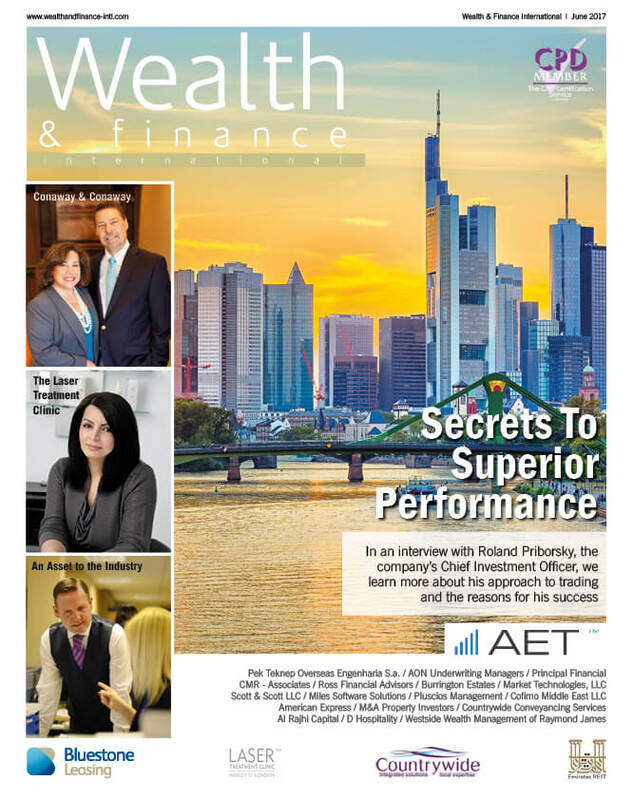 Welcome to the 4th issue of 2018 for Wealth & Finance Magazine, hosting an array of news features, and articles from across both traditional and alternative investment sectors. On the 19th April 2018, the PenFed Foundation announced the launch of its new Veteran Entrepreneur Investment Program (VEIP). Through Foundation contributions and matching funding of up to $1 million from PenFed Credit Union in 2018, the program will: provide veteran-owned start-ups with seed capital to build and grow their businesses, create robust networks and enable the PenFed Foundation to perpetually re-invest returns in future veteran-owned businesses. In this month’s issue, we discover more about Infinox Capital, a global brokerage, headquartered in London who provide a range of services to its valued clients. We spoke to Jay Mawji to learn more about the firm and how it works to provide the very highest standards of support and service. 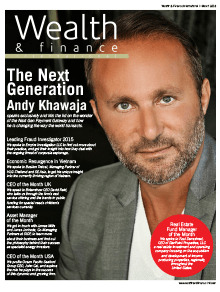 Elsewhere in this edition, Are You Owed Money (AYOM) is a debt recovery specialist in Preston, Lancashire. We speak to Marketing Manager, Daniel Fletcher as we aim to gain more insight into the success of the firm. Speaking of success, FACET is a Crawley based fund manager offering a range of investment opportunities to its valued clients. We spoke to Director, Christian Holland to learn more about the successful company. 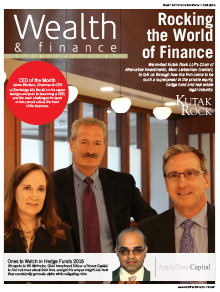 Here at Wealth & Finance Magazine, we truly hope that you enjoy reading this issue and look forward to hearing from you. 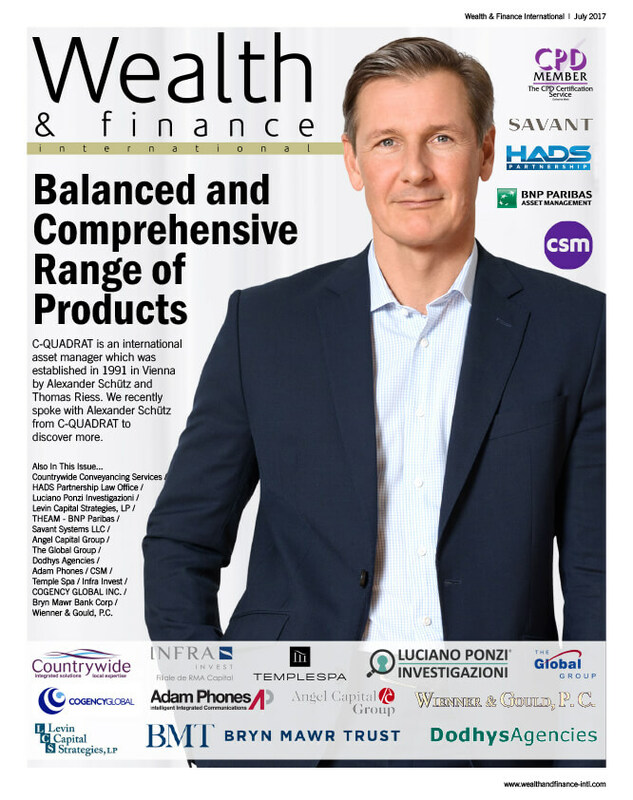 Welcome to the 3rd issue of 2018 for Wealth & Finance Magazine, providing you with the latest industry news from across both traditional and alternative investment sectors. In recent news, HALL Structured Finance (HSF) has announced that the company has closed a new first lien loan totalling $35.5 million to finance the construction of The Vantage multifamily high-rise in St. Petersburg, Florida. The property developer is Michigan-based DevMar Development and the project is expected to be completed in September 2019. 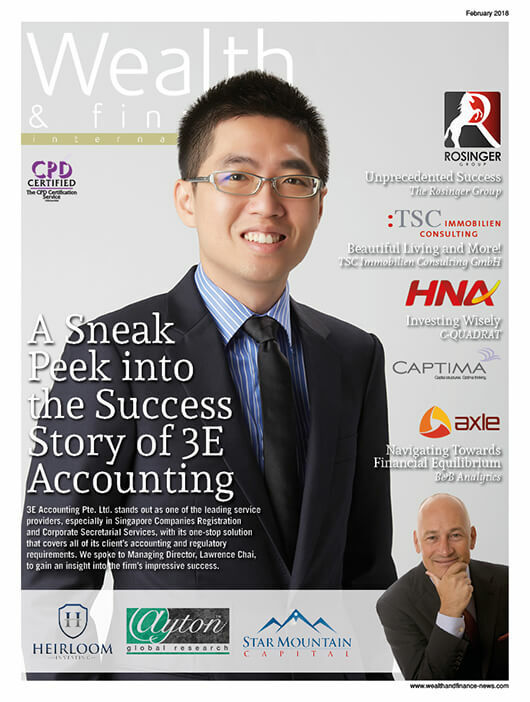 In this month’s issue, we discovered more about the professional, friendly and pro-active firm of Chartered Certified Accountants, Makesworth Accountants when we spoke to Sanjay Kumar Sah as we explored the secrets behind the firm’s continuous success. On the theme of success, the multi-award winning company, MNM Developments is a family run firm of developers, specialising in luxury apartment developments in Edinburgh and the Lothians. Recently, we sat down with Michaela Teague who provided us with an insight into the success of the company, and also the Marionville Development, the firm’s current project. Also, Mahindra and Mahindra Ltd is a US $19 Billion multinational group, who boast a global presence across more than 100 countries, whilst also employing over 200,000 people. Group CIO and CFO; VS Parthasarathy (fondly known as Partha), provides us with an insight into the ongoing success of the company. Lastly, Artis REIT is a diversified Canadian real estate investment trust (REIT) investing in office, industrial and retail properties. Recently, we profiled the firm as we take a closer look at the aggressive but disciplined growth strategy which they have executed since 2004 to build a portfolio of commercial properties in British Columbia, Alberta, Saskatchewan, Manitoba, Ontario and selected markets in the United States. 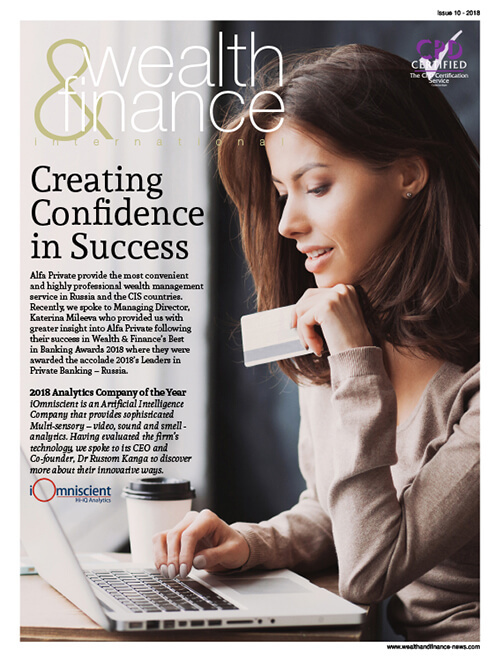 Here at Wealth & Finance Magazine, we hope that you enjoy reading this issue and we look forward to hearing from you. 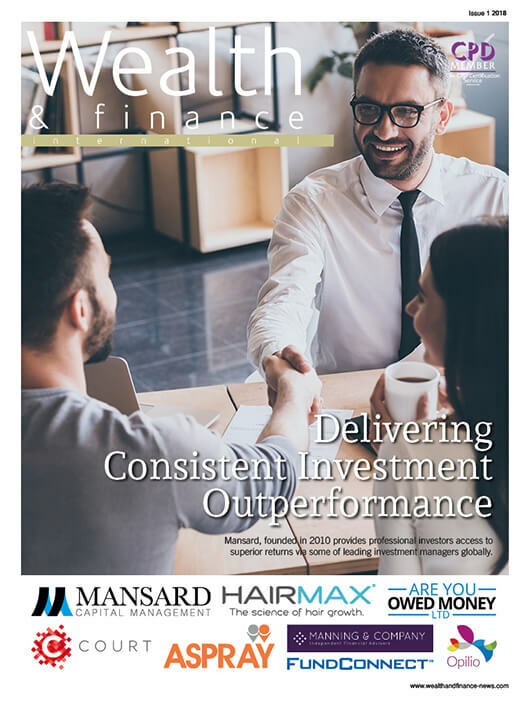 Welcome to the first edition of Wealth & Finance for 2018. 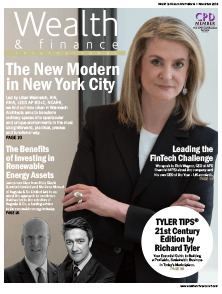 Providing you with an insight into the latest industry news across both traditional and alternative investment sectors. In this month’s issue, we discover more about Opilio Recruitment. The firm was established in 2010 and is the go-to digital recruitment agency for global brands and tech start-ups. 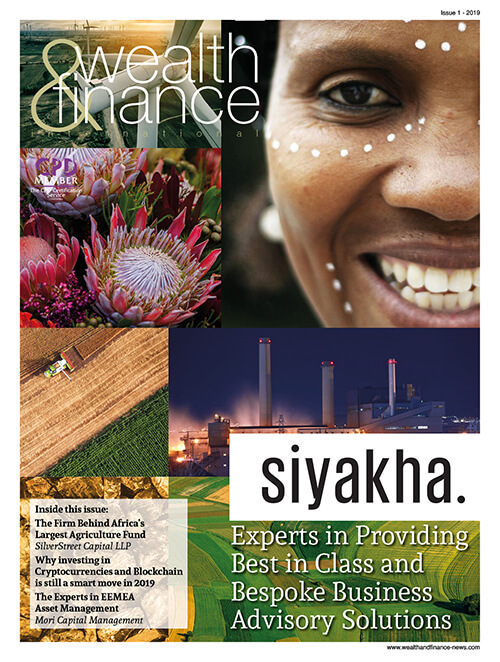 We spoke to Sheba Karamat as we find out more about this knowledgeable and industry leading firm. Also in this edition, Beckford James are experienced, independent chartered financial planners. We invited Partner & Chartered Financial Planner, Joseph Maguire to provide us with an insight into the company’s success behind the scenes. On the theme of success, Alta Semper invests patient, flexible and strategic capital across growth markets with a specific focus on Africa. We invited Afsane Jetha to tell us more about the firm as we examine the secrets behind its success. Elsewhere in this issue, established in 2004, Idappcom is a privately owned security software development and security services business. We profiled the firm and sat down with CEO, Ray Bryant who reveals more about one of the rising companies in the exciting world of cybersecurity. Lastly, as we look ahead to the possibilities that 2018 has to offer, Anthony Morrow, CEO of evestor.co.uk comments on what 2018 holds for fintech and robo-advice. Here at Wealth & Finance, we hope that you enjoy reading this edition, and we wish you all the best for 2018. 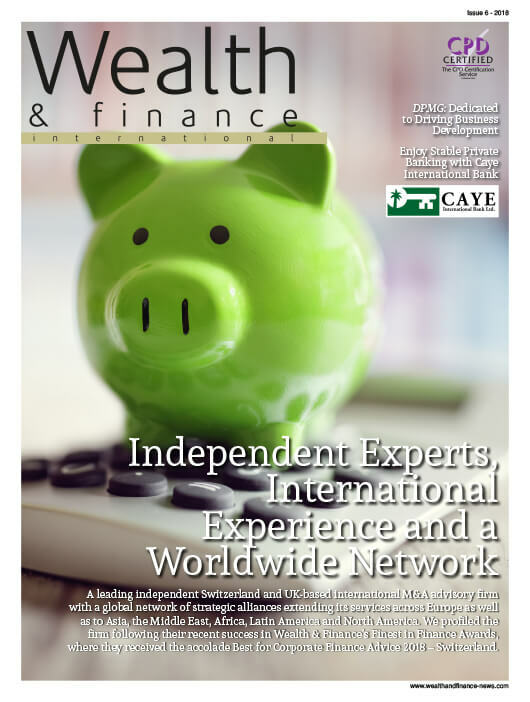 Welcome to the December edition of Wealth & Finance Magazine, bringing you with an insight into the latest industry news across both traditional and alternative investment sectors. In recent news, on the 14th December, Funds affiliated with Apollo Global Management, LLC (together with its consolidated subsidiaries, “Apollo”) announced that they have signed a definitive agreement to acquire Sun Country Airlines, the largest privately-held fully independent airline in the United States, from brothers Marty and Mitch Davis. The transaction, which is subject to regulatory approvals and other customary conditions, is targeted to close during the first quarter of 2018. In this month’s issue, we learn more about the market leader in rugged mobile computers, barcode scanners and barcode printers enhanced with software and services to enable real-time enterprise visibility, Zebra Technologies. The company’s Chief Financial Officer, Olivier Leonetti provides insights into what Zebra delivers and what it takes to be successful in the technology industry. Keeping on the topic of success stories, Nexus Forensic Services who have been in business since 2006, play a leading role in the forensics industry through its involvement and membership in self-regulatory bodies. One of the Directors of Nexus, Mary-Anne Whittles provides us with an overview of the company’s services and future aspirations. 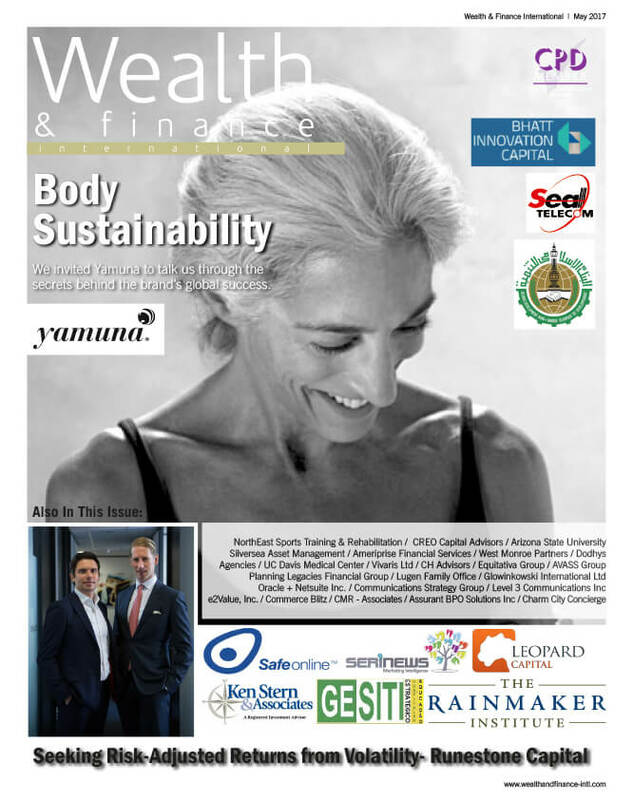 Also in this month’s edition, we profile full service on-site health, fitness and wellbeing management company, Aquila as we look to explore the secrets behind its ongoing success. Finally, Infinox Capital is a global brokerage, headquartered in London and provides a range of services to its valued clients. Recently, we spoke to Jay Mawji to discover more about the firm and how it works to provide the very highest standards of support and service. 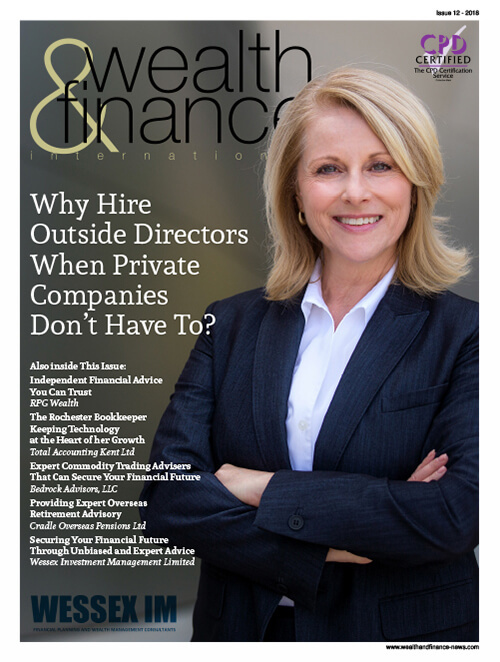 Here at Wealth & Finance, we hope you enjoy reading this thrilling edition and look forward to hearing from you. 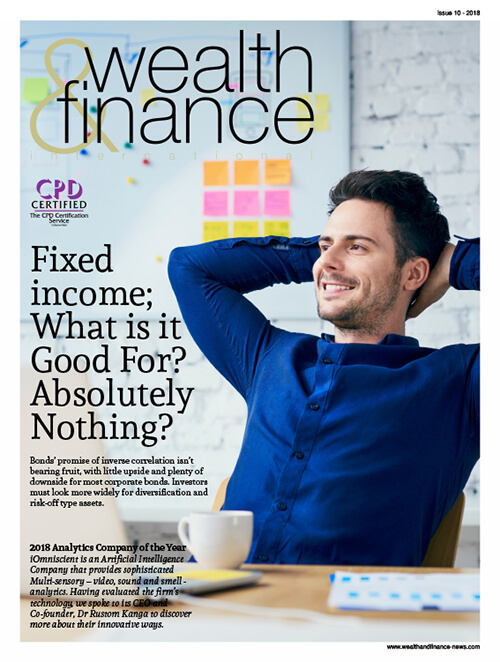 Welcome to November issue of Wealth & Finance Magazine, proving you with an insight into the latest industry news across both traditional and alternative investment sectors. Gracing the cover of this month’s issue, we meet Chief Financial Officer (CFO), Seetha Bansil who works on the Executive Management Team at Aspect Enterprise Solutions. AspectCTRM was delivered as the first web-based trade and risk solution 17 years ago. Recently, we profiled the company and Seetha as we look to find out more about her and the company’s success. Elsewhere in this edition, we meet award-winning Communal Property Expert, Public speaker and author of the Ultimate Committee Handbook, Russell Flick. 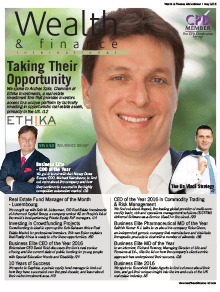 Taking time to tell us more about his recent success of being featured in Real Estate Top 100, Russell reveals what he feels has contributed to his accomplishments. In recent news, an Australian retail property first, the Clean Energy Finance Corporation (CEFC) will invest $200 million into QICGRE’s flagship Shopping Centre Fund (QSCF) to undertake improvements in energy performance across the QSCF shopping centre portfolio. The senior debt facility is the CEFC’s largest property investment commitment to date and will support improvements in its Australian shopping centres located in Queensland, Victoria, New South Wales and the ACT. Lastly, Pearl Island Bahamas is the newest island experience near Nassau and its surrounding islands, offering daily excursions and a variety of unique island experiences. Marketing & Sales Manager, Philipp Rebmann gives us an overview of the company and discusses what makes the experience so attractive to visitors. 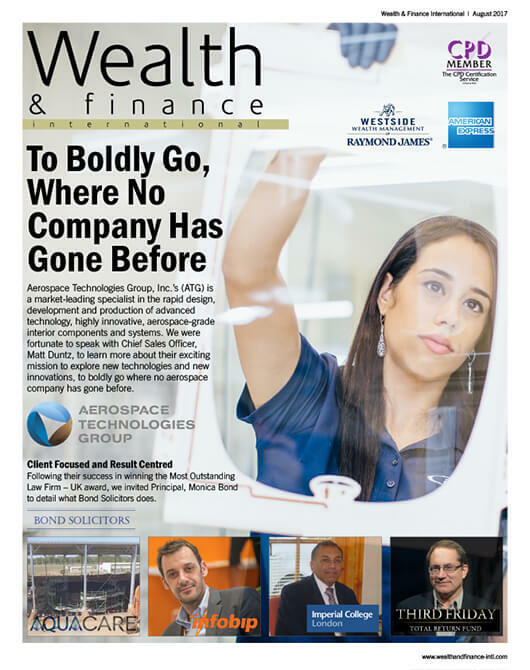 Here at Wealth & Finance, we sincerely hope you enjoy reading this informative edition and look forward to hearing from you. 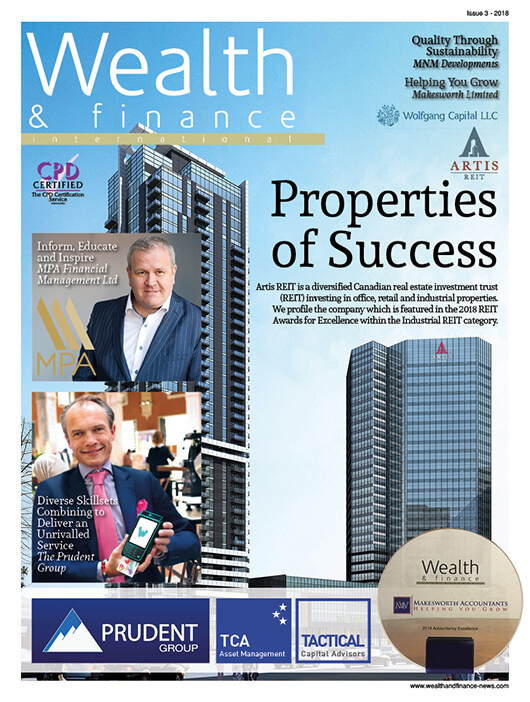 Welcome to the October edition of Wealth & Finance Magazine, bringing you the latest industry news across both traditional and alternative investment sectors. 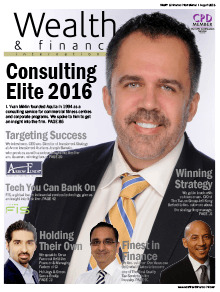 In recent news, one of the industry’s largest independent, full-service investment consulting firms, NEPC. LLC, announced on the 24th October the results of the 2017 Defined Benefit Plan Trends Survey, a gauge of plan sponsors’ strategic vision for their pension funds. 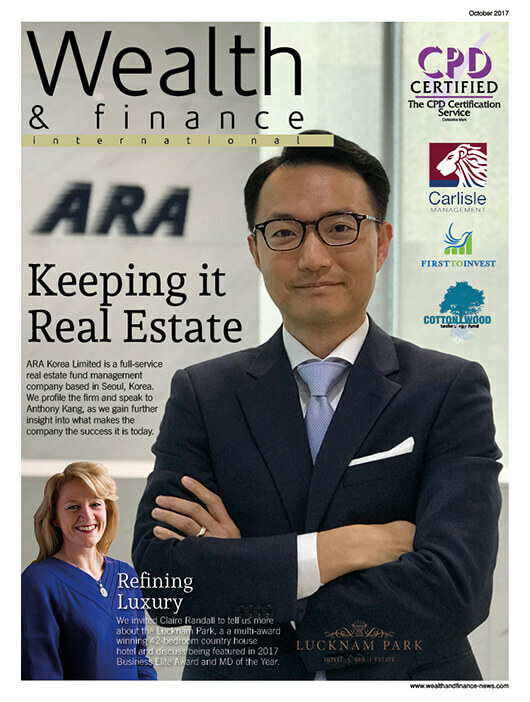 In this month’s issue, we learn more about full-service real estate fund management company, ARA Korea Limited based in Seoul. The company was first founded by Macquarie Group of Australia in 2002, but was later acquired by ARA Group in 2014. We profile the firm and speak to Anthony Kang, as we gain further insight into what makes ARA Korea Limited the successful company it is today. Continuing with this theme of success, we discover more about Star Mountain, a specialised lower middle-market investment firm founded in 2010 with approximately $500 million of assets under management. Going in to more detail about the services that the firm provides, Breck Hickey discusses being named in the 2017 Private Debt Excellence awards before outlining star Mountain’s overall mission. 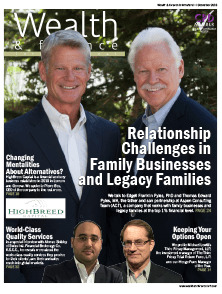 Elsewhere in this issue, we discover how fully integrated real estate investment company, Carroll Organization, focuses on acquiring and managing high quality multifamily properties. Taking time to tell us more about the firm M. Patrick Carroll discusses the firm’s overall mission and explains the steps he believes Carroll Organization needs to take in order to reach their goal. 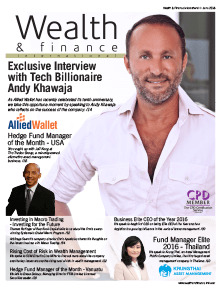 Here at Wealth & Finance Magazine, we truly hope that you thoroughly enjoy reading this edition and look forward to hearing from you soon. 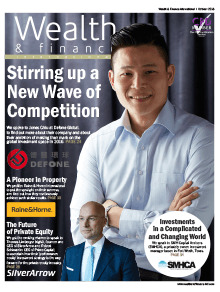 Welcome to this bumper edition of Wealth & Finance Magazine, providing you with the latest industry news across both traditional and alternative investment sectors. In recent news, WhiteHorse Capital (“WhiteHorse”) announced the expansion of its direct lending team with the addition of Daniel Dubé as a Principal. WhiteHorse is the direct lending affiliate of H.I.G. Capital, a leading global private equity and alternative assets investment firm with $23 billion of equity capital under management. Creative ITC works with some of the world’s largest brands defining and delivering IT infrastructure solutions. Taking time to discuss their fresh approach to delivering quality infrastructure, is Managing Director, Keith Ali. Highlighting the reason for their success as remaining grounded and honest, which has been part of the company’s DNA from day one, Keith shares with us Creative ITC’s mission and his expert insights on the wider IT industry today. Elsewhere in this issue, we dive into the world of indulgence when we find out more about the most anticipated audio show of the year, The Indulgence Show. The show is a major new HiFi, portable audio and luxury living experience for London. 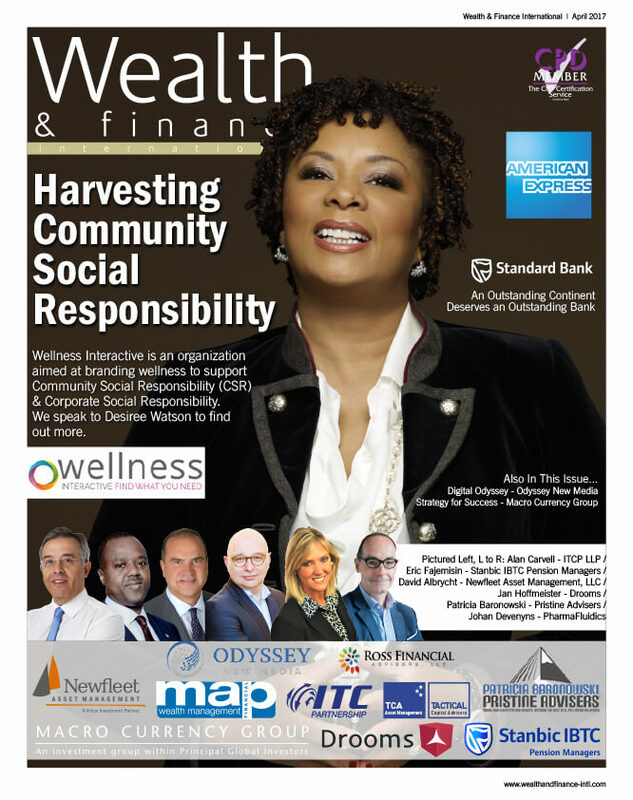 Here at Wealth & Finance Magazine, we truly hope you enjoy reading this insightful edition and look forward to hearing from you. 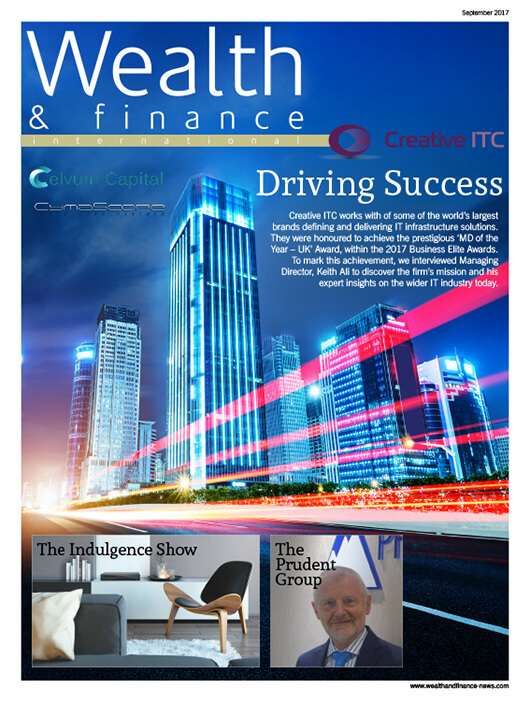 Welcome to this truly captivating July edition of Wealth & Finance International magazine. In this issue, we discover more about C-QUADRART – the international asset manager which was established in 1991 in Vienna by Alexander Schütz and Thomas Riess. The C-QUADRAT team has made a name for itself internationally with its investment fund analysis and management activities. Elsewhere in this issue, on 24th July the Board of LXi REIT plc announced that it has exchanged contracts to provide forward funding for the development of a new Travelodge hotel, drive-through Costa coffee shop and drive-through KFC restaurant in Camborne, Cornwall. Finally, we learn more about how for almost 30 years, Adam Phones have been creating award-winning mobile and fixed line connectivity solutions for some of the most demanding clients and businesses in the world. We hope you thoroughly enjoy reading this issue. 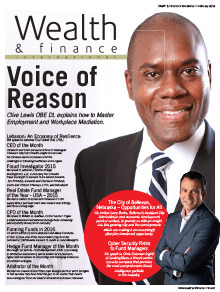 Welcome to the June edition of Wealth & Finance Magazine. Established in 2000, the Laser Treatment Clinic is a multi-award winning laser skin care clinic. Zaheda Hafez has over 17 years of clinical practice experience under her belt, the Laser Treatment Clinic has produced excellent results and has quickly become the go-to skin clinic in London for many high-profile figures. Investing in interesting opportunities, generally through hedge funds, on behalf of its clients is innovative fund manager, Pluscios. At Pluscios, they are constantly looking for interesting investment opportunities, whether it is an off the radar niche opportunities or front page complex opportunities. Elsewhere, we took the opportunity to profile AON Underwriting Managers (AUM, providers of specialist underwriting and claims expertise. AUM also focuses on commercial insurance products across Accident and Health, Property and Casualty, Financial Lines and Marine sectors. I hope you enjoy reading this truly captivating edition. 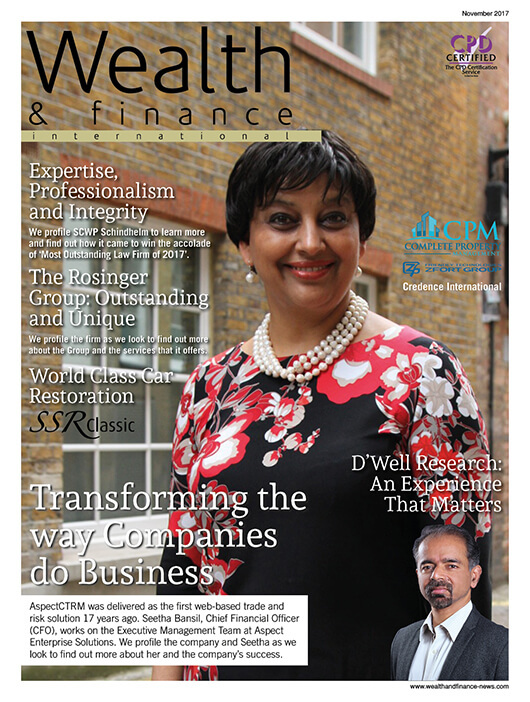 Welcome to the April 2017 edition of Wealth & Finance International magazine. In recent news, the U.S. Securities and Exchange Commission (SEC) enforcement activity remained elevated through the first half of fiscal year 2017, according to new research from Cornerstone Research. The data show an increase in actions involving broker-dealers, issuer reporting and disclosure, and securities offerings. 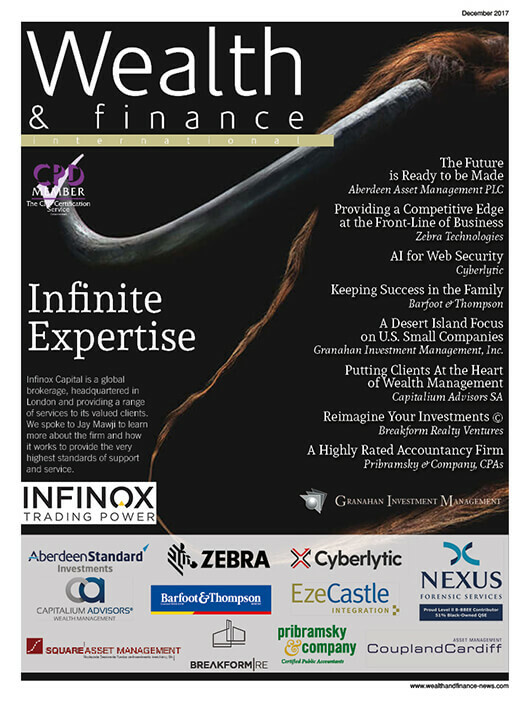 Welcome to the March 2017 edition of Wealth & Finance International magazine, which contains a compelling range of features on banking, property, consulting, wealth management and legal issues plus much more. Virtually all (98%) institutional investors globally have some degree of concern that inflation will reduce the real value of bond yields over the next 12 to 24 months, new research (1) by Managing Partners Group (MPG), the international asset management group, has revealed. In other news, as this years’ ISA season ticks down its final days, people keen to ‘use it or lose it’ to help protect themselves from Brexit fallout (rising inflation and turbulent stock markets), can choose the Abundance ISA which invests in renewable energy projects typically paying 6% to 9% returns, right up to 11:59pm on April 5th. 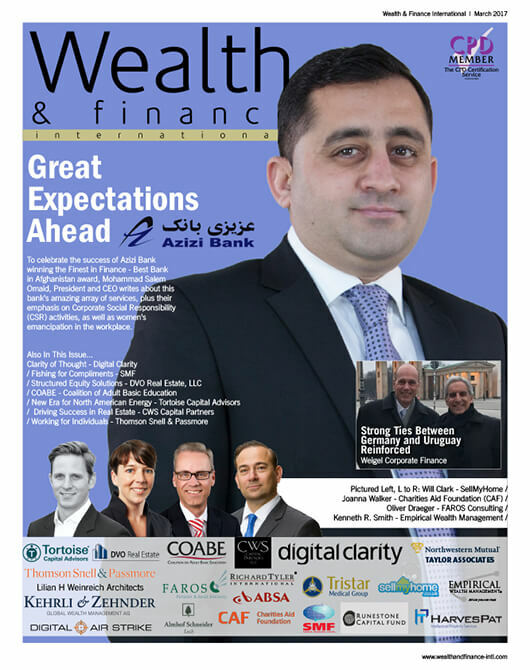 Welcome to the February 2017 edition of Wealth & Finance International magazine, which boasts a remarkable array of features on e-commerce, banking, real estate and private investment to name a few. The start of the New Year has already brought with it some important developments for Britain’s SMEs explains Luke Davis, Co-founder of Crowdfinders and CEO of IW Capital in a special guest article. In another comment piece, Diana Chambers, family wealth mentor and philanthropic advisor, outlines why wealth management is as much about feelings as figures. In an inspirational interview, Allied Wallet’s tech billionaire Dr. Andy Khawaja shares his thoughts on the future of the e-commerce industry and the important role that Allied Wallet will play in shaping the future of how the world transacts. 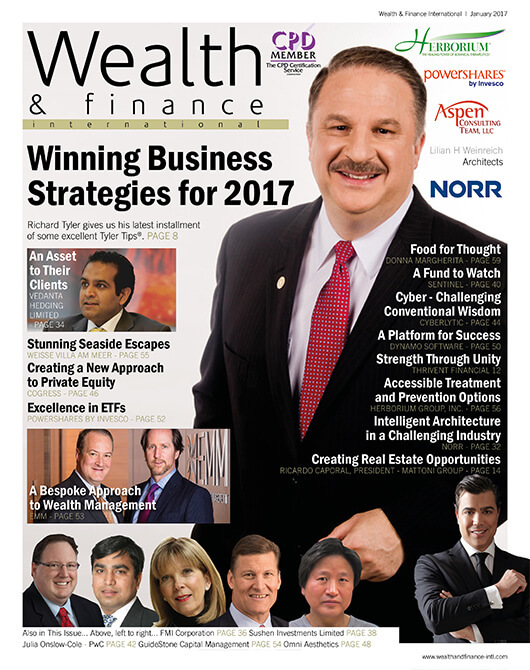 Welcome to the January 2017 edition of Wealth & Finance International magazine, which has a rich and varied range of content, including real estate, wealth management and tax plus much more! Every year at this time, individuals and corporations renew the time-honoured tradition of making commitments to be better this year than last. For most, the intentions are good, however the results tend to be lacking writes Richard Tyler in the latest instalment of his excellent Tyler Tips®. In comment from first direct, home ownership has fallen in most areas of the UK, according to the parliamentary Home Ownership Statistics report. While Scotland appears slightly immune to the trend, with a 0.8% rise in ownership since 2011, and ownership amongst those aged 70+ has also risen by a similar margin, other areas in the UK aren’t seeing the same growth.